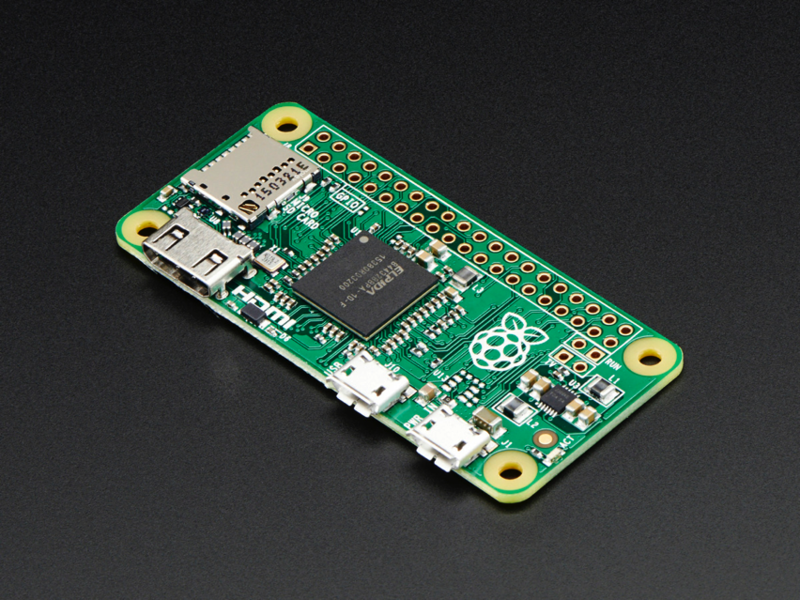 OMG NEW PRODUCTS – Raspberry Pi Zero Starter Pack / Raspberry Pi Zero Budget Pack / Raspberry Pi Zero « Adafruit Industries – Makers, hackers, artists, designers and engineers! Remember those cereal commercials that would always say, “part of a complete breakfast”? Well the Pi Zero’s a lot like that bowl of cereal – while it’s great on its own, you need a lot of accessories to make it a complete meal. 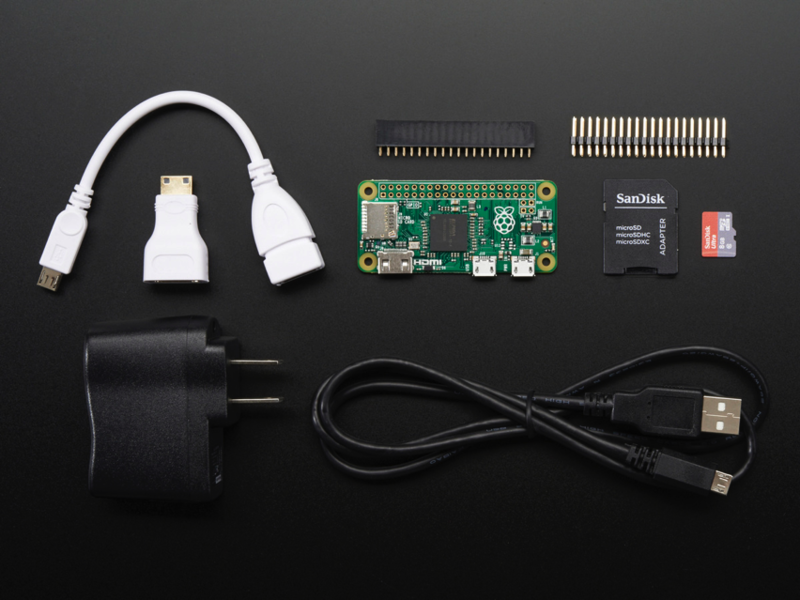 The Pi Zero Starter Pack is everything you need to get going with your Pi Zero and make it a complete meal. 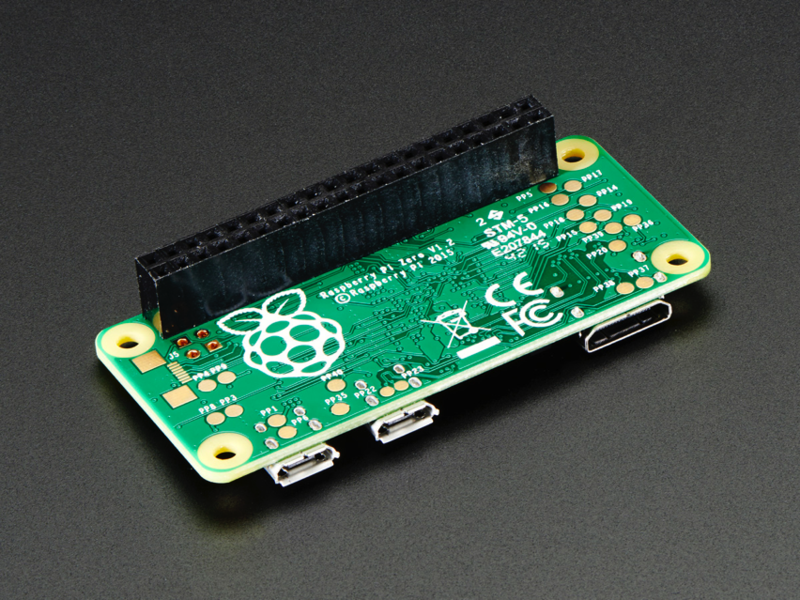 5V 1A Power Supply & USB A/Micro B Cable – the best way to power up your Pi Zero with a stable 5V power supply that wont vary or sag. 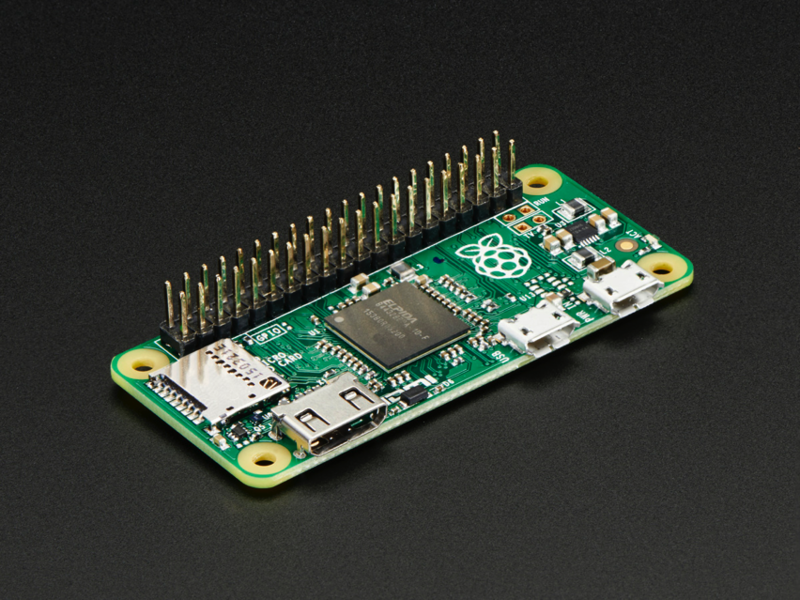 Assembled Pi T-Cobbler Plus – Solder in the classic 2×20 male header & connect your GPIO cable, and breakout all that tasty power onto a solderless breadboard. 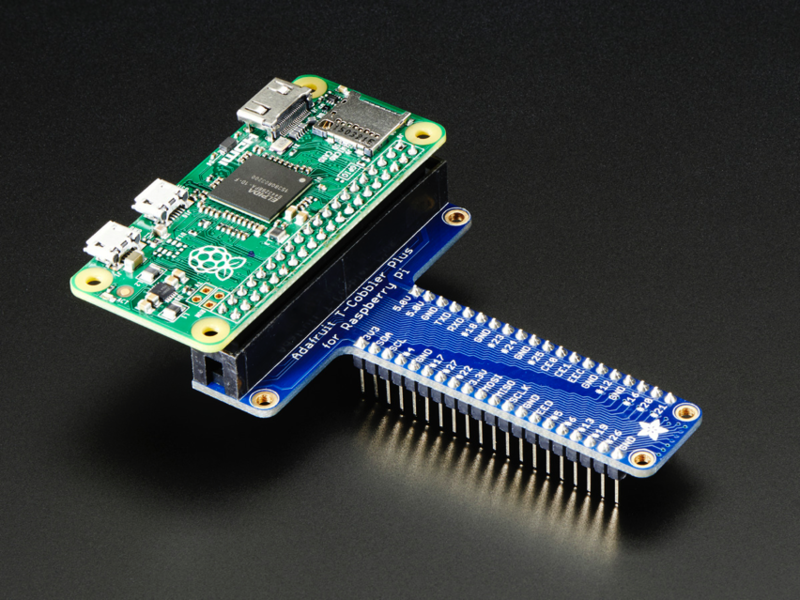 2×20 Male Header – Solder this in to plug in Pi HATs, GPIO cables, etc as you would into a normal Pi. 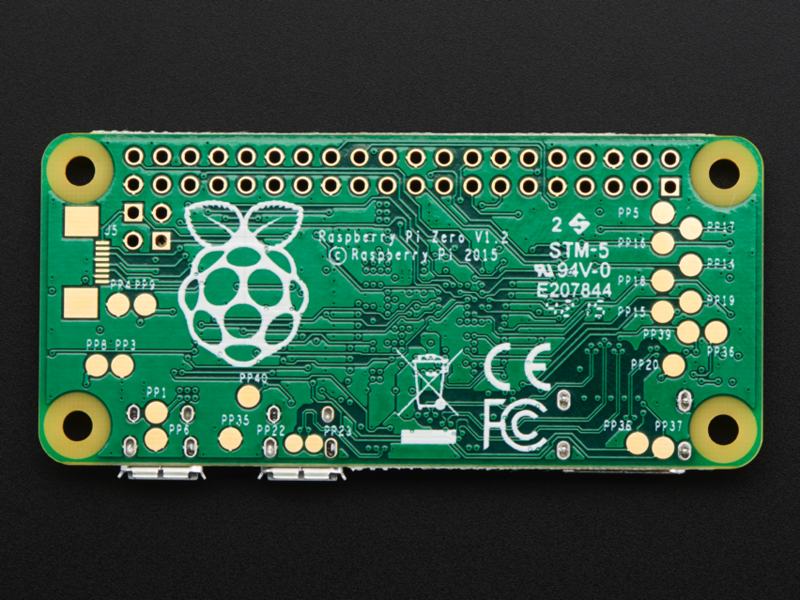 2×20 Female Header (right angle) – Kinda like the above but the Pi sticks right up. 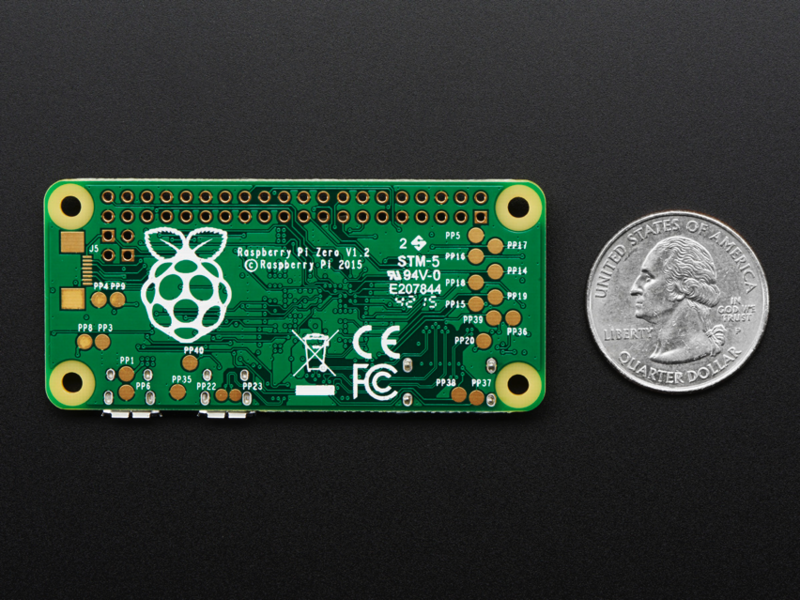 The Pi Zero Budget Pack is almost everything you need to get going with your Pi Zero and make it a complete meal. 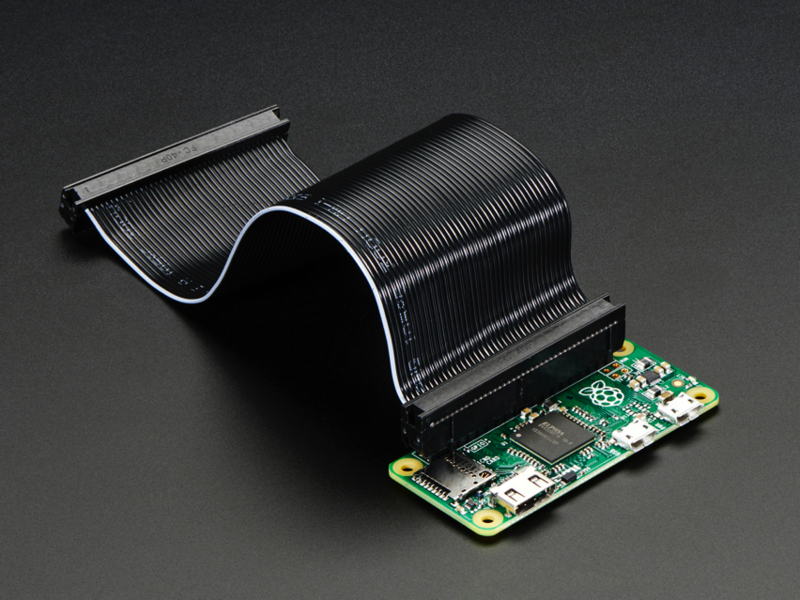 This is the slimmest, most pared down Raspberry Pi to date. 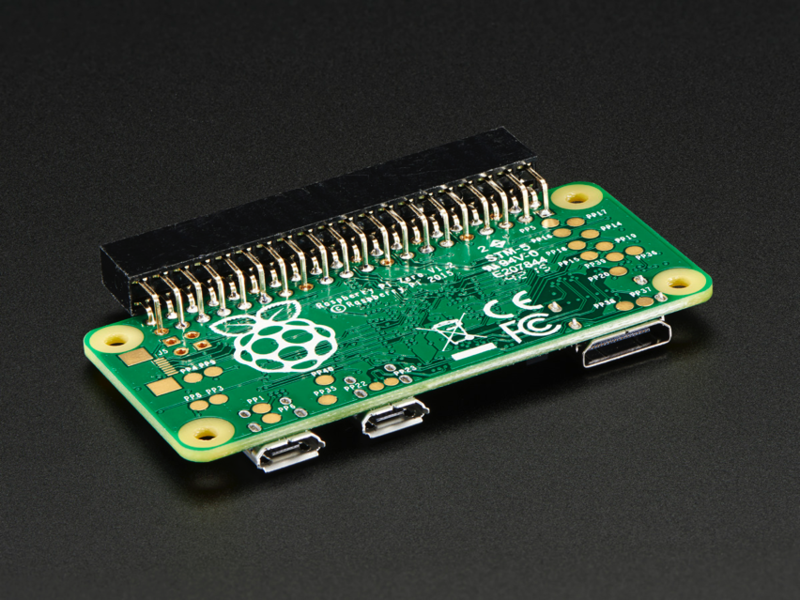 It’s kind of like the little cousin to the Pi 2 – with just a micro SD card slot, a mini HDMI port, two micro USB ports (one for power, one for USB), and a 256MB of RAM. 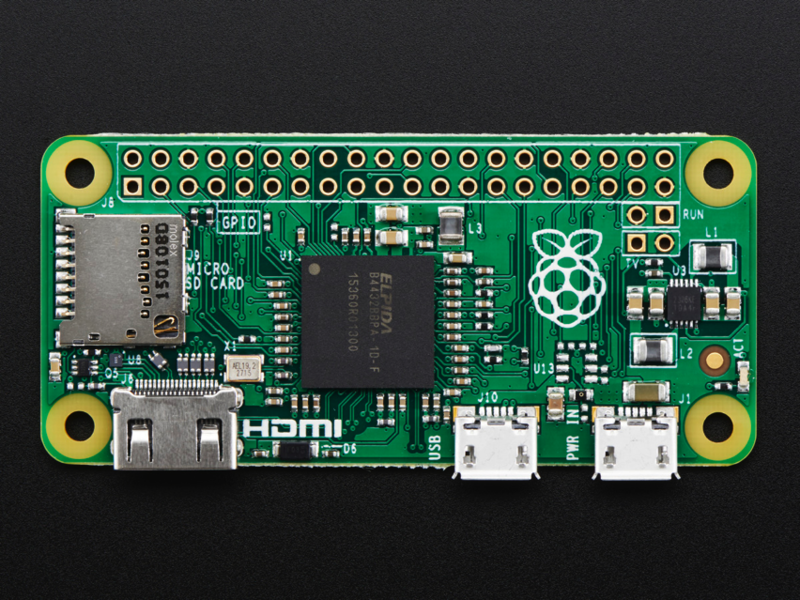 It has the same single-core 700MHz processor chip as the Pi A+ and B+. 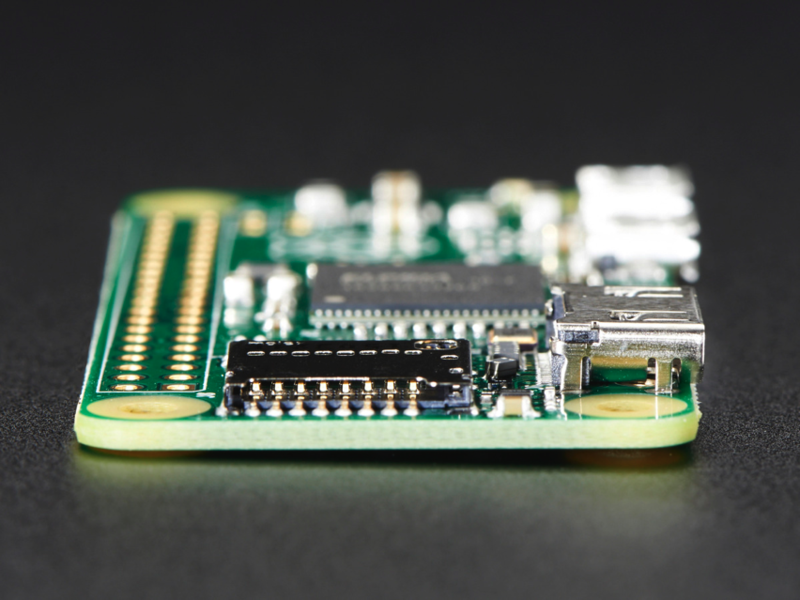 To keep the price and size as small as possible, there is a spot on the Zero for a 2×20 pin header. This header is not included or soldered on. 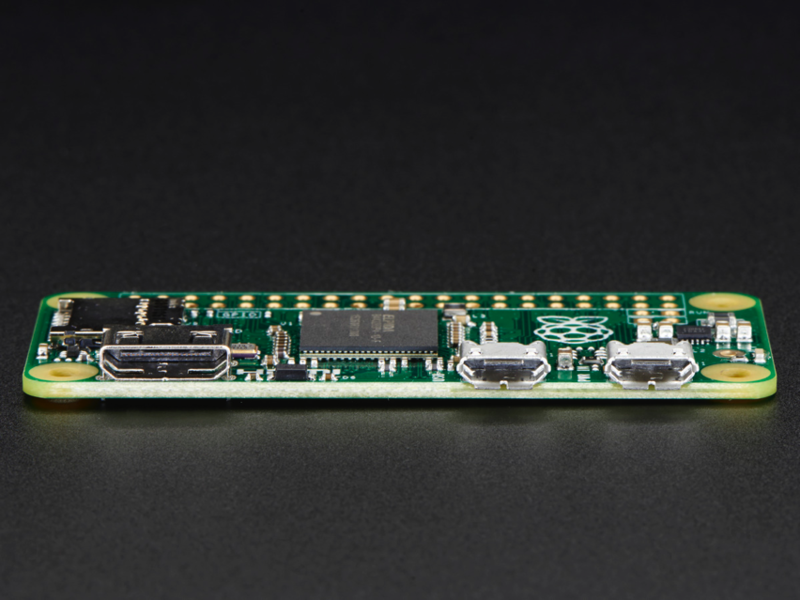 Creative individuals can easily solder in a set of 2×20 male header strip so you can plug in any sort of Pi HAT or other plug-in topper. 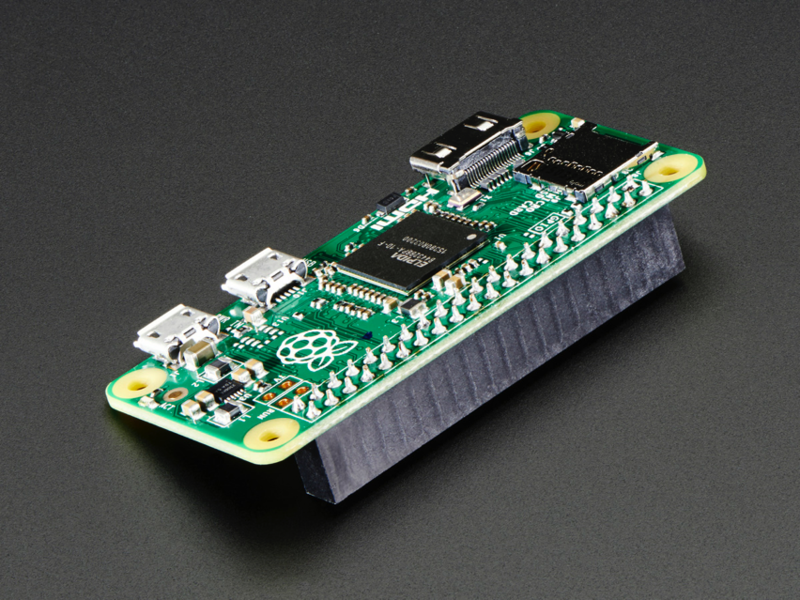 Or, go with a 2×20 female header and plug the Pi Zero directly into an Adafruit Cobbler or T-Cobbler. 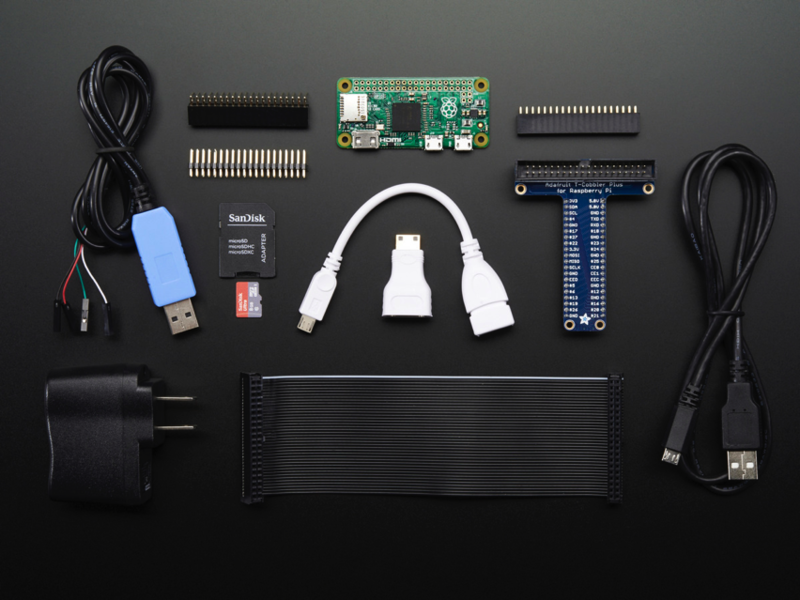 Don’t forget the Pi compute module!